This Playmobil Bowmanman 4808 is part of the legendary Wolf Knight Troop and he holds one of the keys to the catapult. Mount his magical stone on the catapult to create the ultimate wolf troop projectile. 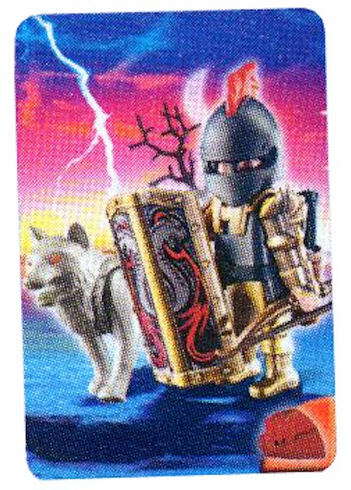 Add this knight and his fierce wolf to any King's Castle playset for swashbuckling fun! Collect all 6 Wolf Knight Troop sets and add together to complete the Wolf Catapult.